If you hang around horses long enough, you are guaranteed to become familiar with common equine ailments such as laminitis, Cushing’s Syndrome, and colic. But did you know that horses can also suffer from liver disease? The liver has many roles within the body including food digestion, coagulation (blood clotting), protein synthesis, hormone regulation, filtering blood and aiding the immune system. Horses and humans are able to survive and function even if the liver isn’t 100 per cent healthy; in fact, horses can live a normal life with only 20 per cent of a functioning liver. However, if more than 80 per cent of the liver is affected, they begin experiencing clinical signs. What are the signs that your horse may be experiencing liver problems? There are two types of liver failure, acute and chronic. 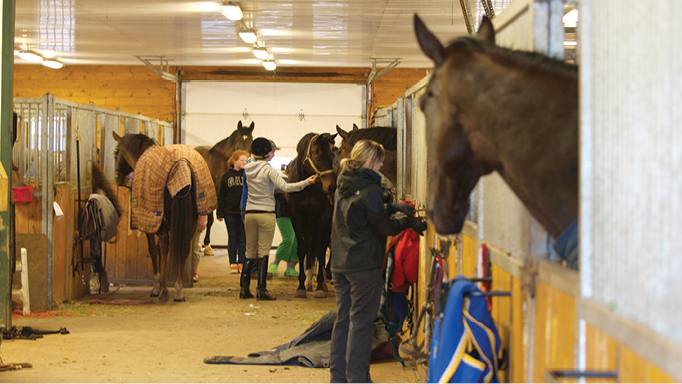 The clinical signs the horse will experience vary depending on which type they are affected by. In acute liver failure, horses will become icteric (jaundiced) and exhibit yellowed mucus membranes such as the eye sclera and gums, as well as neurological symptoms due to a syndrome called hepatic encephalopathy. The changes in mucus membrane colour are due to the damaged liver’s inability to break down and excrete bilirubin, which is a natural product of blood cell breakdown. The neurologic signs are due to the damaged liver’s inability to clear ammonia from the blood. Ammonia can cross the blood-brain barrier, and when the levels in the blood climb, certain brain cells expand. This decreases the energy supply to the brain through mechanical and hormonal pathways that are activated by the swelling. The decrease in energy available, as well as the swelling in the brain, causes neurological symptoms ranging from subtle behavioural changes (depression, lethargy, persistent yawning, pica, aggressiveness) to coma and death. Horses experiencing chronic liver problems will lose weight and develop photosensitivity (sunburn) on the white areas of their body, such as snips or white patches on backs and necks. 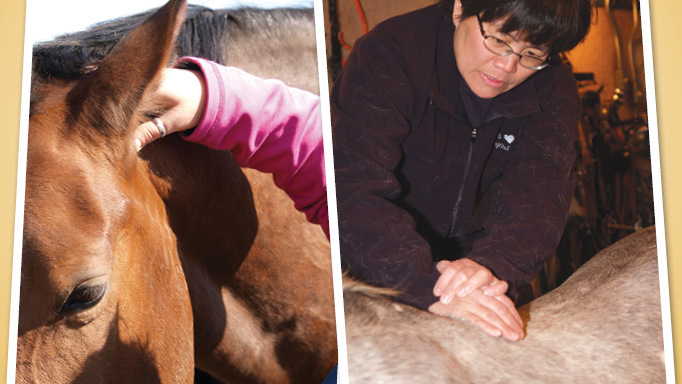 There are some clinical signs that are very specific to certain problems in the liver, such as a fever and ventral edema (swelling on the underside of the horse’s belly) that, along with blood work, will help steer your veterinarian in the correct direction as to how to treat your horse. If a horse ingests enough of these plants or weeds they can go into acute liver failure and may start to exhibit neurological symptoms or jaundice. Immediate veterinary attention is key to help these patients overcome the toxic burden; however, prognosis remains poor with a lot of toxic causes of liver damage. Treatments may include intravenous fluids, a low-protein diet and other medications to decrease ammonia production in the gastrointestinal tract. Pasture management is key to making sure your horse isn’t exposed to these plants. The OMAFRA website, for example, has a list of poisonous plants along with images to help you identify them in your pastures (see also horse-canada.com/magazine_articles/what-not-to-eat). There are other conditions in which horses can develop liver failure; one of the more common ones is hepatic lipidosis. This is where an accumulation of fat in the liver inhibits its function. It is fatal in more than half of cases and is more often seen in minis, ponies, and donkeys, especially if they are overweight. Fat gets deposited into the liver when there is a change in the horse’s energy intake (i.e. they stop eating.) This can occur if the animal is sick or is experiencing colic. The body instinctively begins to mobilize fat stores to use as fuel, as there is no incoming nutrition. The fat then moves into the bloodstream and is sent to the liver to be converted into glucose to use for energy. The mobilization of fat overwhelms the liver, and instead of converting it to glucose, it holds onto the fat. The fat deposition inhibits proper function of the liver and acute liver failure occurs. Clinical signs of hepatic lipidosis can be vague at first. The horse is quieter than normal and he or she stops eating. It can then quickly progress to the clinical signs seen in acute liver failure. Being aware of what is normal for your horse can help to identify these problems quickly, which can be essential to save him or her. Treatment for hepatic lipidosis involves intensive supportive treatment. Usually IV nutrition is given to correct the energy imbalance that the horse is experiencing because he or she stopped eating. Even with supportive therapy, 40-80 per cent of horses die due to this condition, so early recognition of clinical signs is the best way to prevent liver failure. Idiopathic Acute Hepatic Disease (IAHD), previously known as Theiler’s disease, is a rare condition, but can be life-threatening to horses. 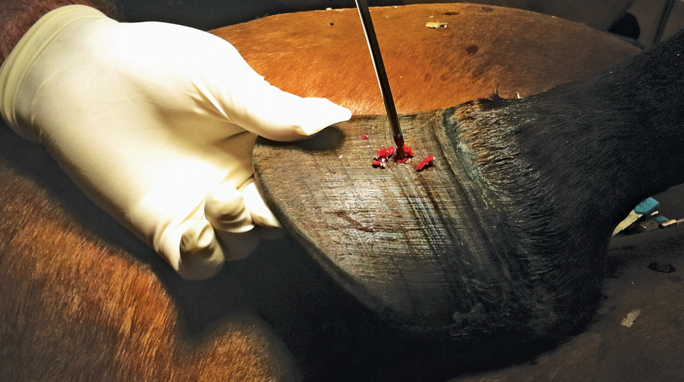 It is often associated with tetanus antitoxin (different than the vaccine your horse gets every year) and other commercial equine blood products such as plasma. Tetanus antitoxin is administered to horses who are unvaccinated, or whose vaccination history is unknown, when they suffer a wound. Its job is to provide passive immunity for emergency protection against tetanus. The risk of the horse then developing IAHD is low, but has been reported. IAHD is rarely seen in horses younger than two years of age. Unfortunately, the exact pathogenesis of this disease is unknown, but it is believed to be a hypersensitivity reaction which ends in acute liver failure. There have been reports of horses in contact with horses that have received a biologic transfusion stricken with IAHD. This has led experts to believe that there could be an infectious agent involved as well. Horses affected by this serum hepatitis exhibit acute liver failure signs such as blindness, stumbling, jaundiced mucus membranes and head pressing. The good news is that if caught early and given appropriate supportive care, most affected horses recover with no lasting side-effects. Liver disease doesn’t only affect adult horses. Tyzzer’s disease is a fatal condition in foals less than six weeks of age. It is caused by the bacteria Clostridium piliforme and usually occurs in stressed, well-fed foals who eat a higher-protein diet. 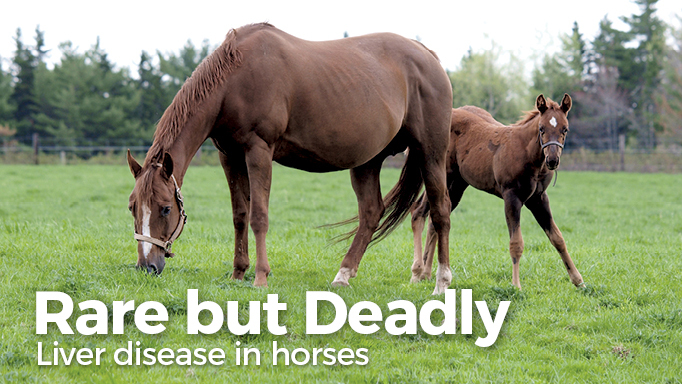 Infections are more prevalent in nursing foals where the mares are eating lush grasses. It is believed that the lush grass allows the bacteria to reproduce excessively in the mare’s gastrointestinal tract. When the mare has a bowel movement, the foal is exposed to Clostridium piliforme (usually through ingesting feces) and becomes infected. The bacterium attacks the liver and creates scarring and necrosis, resulting in acute liver failure. Clinical signs of Tyzzer’s disease include depression, unwillingness to eat, fever, diarrhea, and jaundice. These progress to recumbancy, convulsions, and coma. These signs begin to appear four to seven days after exposure and progress very quickly. Most foals are found in a coma or dead. 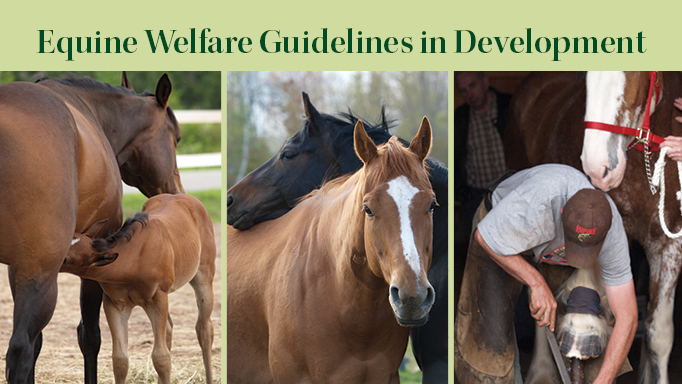 Unfortunately, little is known about the effectiveness of remedies, because most foals are diagnosed long after any treatment would be effective. Lab tests show that there are antibiotics that can kill the bacteria, although the disease carries a grave prognosis. The literature claims 100 per cent fatality rate when foals are infected. Supportive care such as IV fluids, antibiotics and IV nutrition seem to only delay death. Prevention is key in dealing with Tyzzer’s disease. Avoiding overfeeding mares, especially high-protein diets, reduces the incidence of this disease. Reducing stress is also an important factor, as stress creates immunosuppression and increases risk of disease. If you suspect you live in an area that is endemic for Clostridium piliforme, speak to your vet about how to prevent exposure and disease in your foals. The diseases and syndromes mentioned above are a few of the main causes of liver failure in horses; however, there are many more toxins, syndromes, and diseases that can cause liver damage. It is important to remember that while liver disease is often fatal, it is also quite rare in horses. If you notice a change in your horse’s behaviour, or have any questions about liver damage in horses, a quick phone call to your vet is a great way to put your mind at ease.